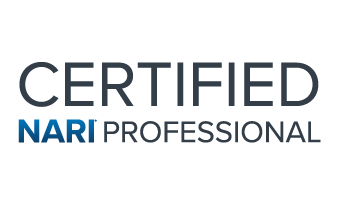 In its continued commitment to increasing the professionalism of the remodeling industry, NARI offers two different credentialing options: Individual Professional Certification AND Company Accreditation. These programs were designed to boost individual professional skills and company operational effectiveness, with the added benefit of assuring clients that the individuals and companies who hold these credentials adhere to the foremost industry standards and best practices. Becoming a certified remodeling professional will also serve to assure clients they are working with a vetted industry professional capable of delivering on their needs to industry standards. NARI's Accredited Remodeling Company program is designed to assist remodeling business owners in building better, more efficient and more profitable businesses. The first and only program of its kind, NARI Accreditation represents the next chapter in remodeling professionalism. Getting your company accredited also offers a tremendous marketing benefit in assuring prospective clients they are working with a remodeling company compliant with THE industry standard for remodeling businesses.